Clear Your Plates for the 2018 Frisco BBQ Challenge! You know summer has started in Summit County when Frisco Main Street closes down for a larger than life BBQ! Save your appetites, this will be undoubtedly the best BBQ in Colorado this summer. We hope to see our guests and other locals at this mouth-watering event! 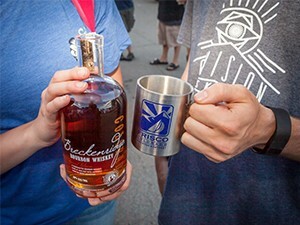 If you’re visiting Frisco this coming weekend, the Frisco BBQ Challenge not only offers a kick-off concert, dangerously delicious grilling competitions among 70+ BBQers, a whiskey tour, pig races, kids’ activities, AND proceeds go towards several non-profits like Mountain Mentors, the Summit County Restaurant Association, the Summit County Chamber of Commerce, High Country Conservation, Advocates for Victims of Assault and Women of the Summit. The grill masters spicing things up! Wake up your taste buds with the Whiskey Tour! How Did the BBQ Challenge Come To Be? 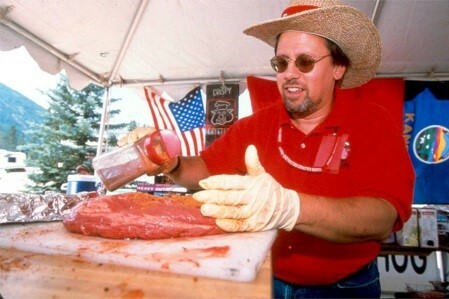 The Challenge started in 1994 as a Kansas City Barbeque Society (KCBS)-sanctioned competition. KCBS sanctions BBQ and Grilling competitions across the U.S. and promotes barbeque as America’s cuisine. In addition, KCBS has an extensive Certified Barbeque Judging program. It is the largest society of barbeque enthusiasts in the world! Hogbacks are your ticket to savory BBQ, beer, whiskey, and much more. Hogbacks are the official currency of the Colorado BBQ Challenge. · Hogback tickets can be purchased at ticket booths throughout the event. · There are no cash vendors on the street and Hogbacks are good for everything from beer to BBQ to berry kabobs. 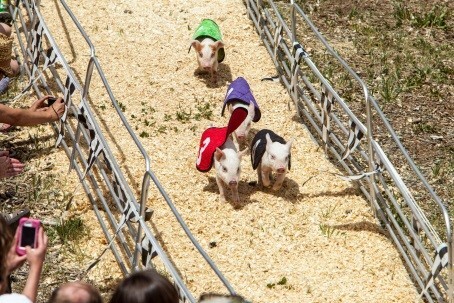 · Hogbacks can be used after the event at merchants in Frisco throughout the weekend. A list of merchants accepting hogbacks will be available at ticket booths and at the Visitor Information Center. · Most food on the street costs between 5 and 12 hogbacks. Food choices vary from from salmon and shrimp to ribs and Philly cheese steaks. Many vendors offer full plates including sides. · Hogbacks tickets can also be pre-purchased online starting in May and picked up at will call (Visitor Information Center at 300 Main Street) beginning Wednesday, June 13, 2018 at 9:00am. Most people buy hogbacks at the event; we recommend doing the same. If you would like to pre-purchase hogbacks you can buy them online in increments of 20. · Any cars with 3 people or less will receive 5 Hogbacks per car and a coupon good for 25% off of Hogbacks. · Any cars with 4 people or more will receive 10 Hogbacks per car and a coupon good for 25% off of Hogbacks.